Among all the attraction you have heard about in Iran, this virgin island(!) has a significant issue to discover by and be delivered to tourists: The underground Music bands. These bands are mostly illegal, or better to say they are on the dark side of law! but no difference to make them outlaw! among them you can find Rock and Rap bands. illegal bands who can't get permission for their works, known as underground music which I think have a larger body than the legal sector! I strongly believe the second sector has got more talent and innovation in their music than the others, especially the third one which mostly reminds you of dinosaurs! 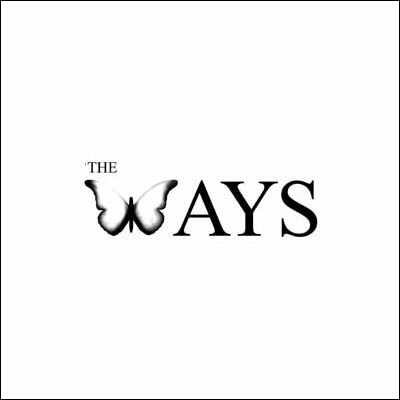 The Ways, is a rock band in Iran, probably located in Tehran, founded by Kaveh Afagh and Alireza Pour-reza.as they say on their official website (www.thewaysband.com) "The Ways supposes that has created or reached a special kind of pop-rock music. The Ways` members named their style, Oriental Rock, which is based on the creative artistic methods of the Old Persian artists." Among their outstanding songs, I love "bonbast" and "Tehran"
talks about unemployed and under wage people (mostly men) who their inability to obtain minimum life needs causes prostitution of their wives and girls. a very strong lyric by Kaveh Afagh, implemented smoothly on the music theme. the vocal is somehow different of what ever I've heard from Iranian rock bands. life, war and the truth of universe! if these are things you can't combine them together in your life, this is your right music. "lieutenant, you're stuck and condemned, and your death is just a message from each War" it says in a part and also: "universe, both your hands are null, and all the alleys are dead-end"
How The Emirates Group as company active in Tourism business in UAE can start or expand its operation in Iran? Advantaging out of lack of infrastructure! Emirates airlines, as a key member to the group, can take some advantages out of the situation in Iran right now. 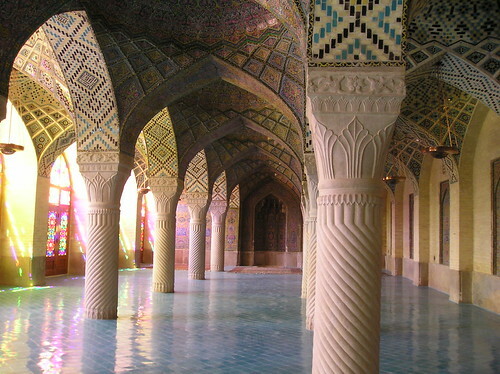 The Iranian airlines have limited number of available flights to international airports. Transit and connecting flights from Iranian major cities to all destinations Emirates Airlines has, can play a major role in fulfilling the airline’s capacity. Bear in mind Iran has a population of 70 Million (12 times more than UAE) which half of this population is living in just 5 major cities and nearby. For Emirate Group, using local expert recruitment firms and consulting companies to balance its resources for advertising, human resources etc is a must. For the country itself, the tourism industry needs certain expert trainings and academic courses in university. this will cause more income for the country since the companies won’t need to import services and human resources. Governments should indicate clear commitments about private sector involve-ment in tourism infrastructure development, and this should form part of integrated plans or a master plan like what we call “20 year perspective program” in Iran. In order to attract private sector participation, governments should address such issues as creating a conductive business environment, providing investment incentives, developing an adequate legislative framework and strengthening governmental capacity to negotiate. 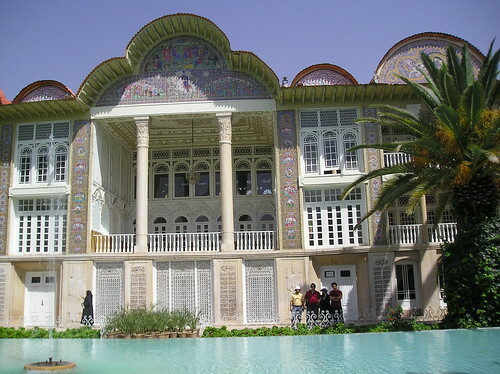 Banks in Iran and other development financing institutions should extend full assistance to tourism infrastructure development, to give the private sector a confidence in investing. There is a complex relationship between tourism and the environment, such that tourism has inevitable and important environmental impacts, including: resource use, consumption, waste, pollution and effects from tourism-related transport. For the Emirates Group this challenge should be handled in SCR (Social Corporate Responsibility) department. So we won’t enter this issue. For the industry itself, there’s a need for a nation level action, including cultural issues etc. Government should give more attention to planning, coordination and monitoring of tourism development and environmental management. Tourism in Dubai is an important part of the Dubai government's strategy to maintain the flow of foreign cash into the emirate. But what Dubai offers to tourists? Does Dubai satisfy a tourist like when he/she steps in to European cities? Does Dubai contain quarter of what we counted as Iran’s attractions? Dubai's tempt for tourists is mainly based on shopping. There are other things, made artificially (in my point of view, but confirmed by many as I have asked through years and years from different countries) to attract and also make benefit, like Ski resort, desert camps and safari, aqua parks, Yacht marinas etc. Again Comparing to Iran, the smallest Ski resorts in Iran (actually there are more than 10) is 10 times bigger than the artificially made Ski resort in Mall of the Emirates. Emirates Group is enjoying an untouched and virgin market in the neighborhood in many aspects. Imagine an advert, saying you can “Shop in Dubai, Ski in Dizin and Scuba Diving in Qeshm island!” it would be a collection of attractions unbelievably gathered in one package. And who is the winner? No doubts, the customer, and then the infrastructure provider, which a major part is on Emirates Group stake. No one neglects the impact of weak Iranian currency versus strong Dollar and Euro. Both the country and the Emirates Group can take advantage of this opportunity. Please let me have your comments and feed back. I'd be glad to be in touch with businesses who seriously are looking forward to start or expand their activities in Iran. through the connection I've got and experience in tourism industry, I got no doubt I can be helpful! feel free to contact me: honarparvar at gmail dot com.